Looking back at my own little guy's first year, it's hard for me to recall a lot of the little details. I don't remember what his favorite foods were, or exactly when he started crawling. Which is exactly why this album is an amazing keepsake. 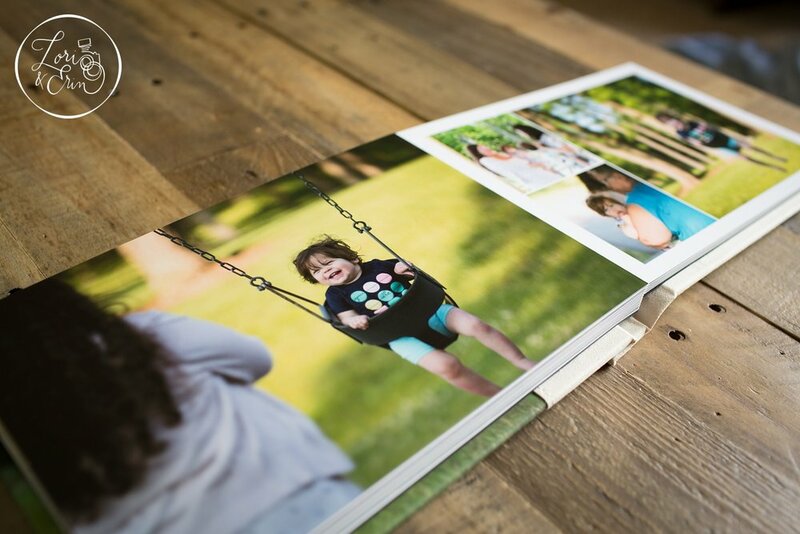 We recently designed this particular album for one of the cutest kids in our membership program. From candids at our events to milestone portrait sessions, we documented this family as they grew together throughout the year. We also filled it with all of the little details her parents wanted to remember about Alaina's first year. If you're on the fence about creating heirlooms for your children as they grow, you should really come check these out.